Cute Smart Phone Speaker – the X-mini. A Gift for the Person Who Has Everything! Still shopping for that hard-to-buy for person on your list? 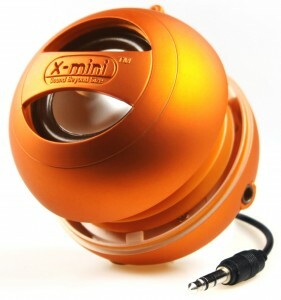 Here’s a cute little item I think most people of all ages would love – the X-mini Mono Capsule Speaker! It comes in a variety of colors – the orange here is $16.99 on Amazon.com, others are up to $24.99 (blue). Either way, it’s an affordable and fun gift for the person who has everything! Get the X-mini Capsule Speaker on Amazon for $16.99+.